Nothing but vegetables and water. And not just for three weeks, but more likely for the duration of their training in Babylon! This response from these four young men didn’t come from a fear of getting caught. It came from a devotion to God’s commands already formed in them before being taken from their homeland. 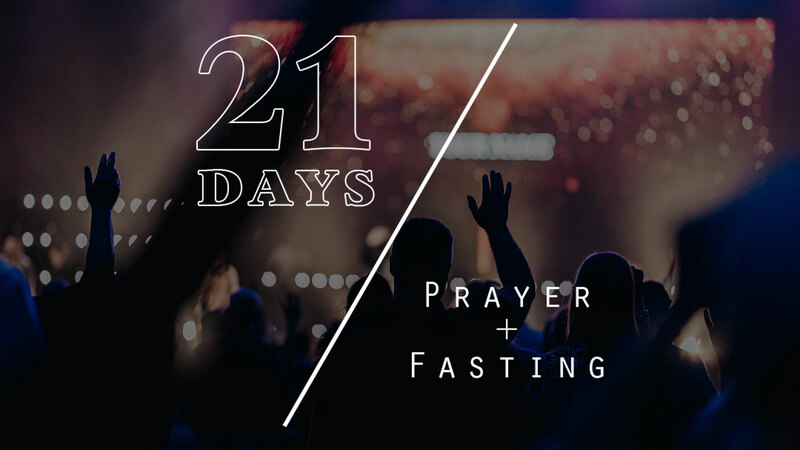 During this fast, you’ll have many opportunities to deviate from your commitment–especially if you’re fasting alone or if no one will find out. Pray that God will give you the resolve and courage to stick to the standards you’ve set and honor Him no matter what. 11 So Daniel said to the steward whom the chief of the eunuchs had set over Daniel, Hananiah, Mishael, and Azariah, 12 “Please test your servants for ten days, and let them give us vegetables to eat and water to drink. 13 Then let our appearance be examined before you, and the appearance of the young men who eat the portion of the king’s delicacies; and as you see fit, so deal with your servants.” 14 So he consented with them in this matter, and tested them ten days. 18 Now at the end of the days, when the king had said that they should be brought in, the chief of the eunuchs brought them in before Nebuchadnezzar. 19 Then the king interviewed them, and among them all none was found like Daniel, Hananiah, Mishael, and Azariah; therefore they served before the king. 20 And in all matters of wisdom and understanding about which the king examined them, he found them ten times better than all the magicians and astrologers who were in all his realm. 21 Thus Daniel continued until the first year of King Cyrus.